Sale! $139 Only this week! EN71 approved! Fast Deliver! 1:64 Kids Pull Back Toy Mini School Shuttle Bus Physical Drive Vehicle Diecast. Fire Truck Engine Toy W/Water Cannon Lights Sounds Extendable Ladder Kid Gift AU. 1:64 Scale Pull Back Shuttle Bus Toy Kids Model Physical Drive The City Bus 15cm. Shovel, Spoon, Whisk Length: 12.5cm/4.92" (Approx.). Plastic simulation material, won't harm kids's hands. Pot Dia. : 7cm/2.76" (Approx.). Type: Ccook Ware Toy. Fits for kids aged more than 3-year old. Featuring a well-equipped and beautifully detailed large wooden kitchen set to inspire culinary masterpieces and hours of creative play for your loving ones. 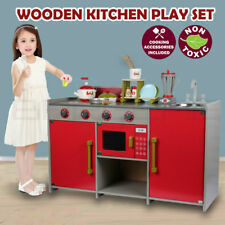 This large wooden kitchen set is perfect for kids to preform cooking role plays with friends and parents; providing plenty of fun and learning a lot of knowledge during play. 3 Kitchens to Choose From. 1 Year Warranty. Save Up to 70%! EN71 approved! Kitchen w/ accessories! Features:Set of colorful fruit and vegetable toys for your dear kidsComes with a plastic knife for children to enjoy cutting,provide maximum security for your kidsEach fruit and vegetable can be sliced in half because they are connected with velcro.Bright and various colors not only can draw babies' attention,also can cultivate color perception capacityEnjoy fun and happiness of the Pretend Play Game cutting fruit,developing practical ability,hand-brain coordination capacity and satisfying their desirePerfect gift and education toy for baby kidsSignification:Material:PlasticPackage size:33*20*8cmProduct lists:Mushrooms, strawberries, apples, watermelons, green peppers, corn, bananas, grapes, eggplant, pears, cabbage, lemon, broccoli,Small baskets,Knife *. Trending at AU $12.46eBay determines this price through a machine-learned model of the product's sale prices within the last 90 days. Including 6 eggs, 3 of which are divided into 3 parts - yolk and shells. 1 Set (6pcs) Wooden Eggs. Fit for children aged than 3 years. Color: 3 white, 3 log color. We will answer or help you to solve the problems as soon as we can. Children love using their imagination and creating endless pretend play adventures and this deluxe wooden kitchen will allow them to do just that. Featuring all the accessories one would find in a real kitchen the set features oven,microwave,cook top, sink and more! Perfect for modern living, the stylish mansion is fitted out with contemporary décor, a working lift and converted loft. For promising Picassos and young Banksys, the Peppermint Townhouse chalkboard roof is a blank canvas waiting for a mini masterpiece. Kitchen allows little chefs to dabble in the culinary arts. Filled with tons of prop kitchen appliances, the prestige play. We know how important safety is for your kids, our Prestige V2 Play Kitchen passes International EN71 Safety Standards. Shinehalo happy kitchen cutting playset includes 20pcs pretend food and kitchen ware for children up to 3 years old. Shinehalo 20 Pieces Pretend Food Kitchen Ware Toys With Basket Safe Endurable Colorful Vivid Kitchen Cutting Playset For Children 3 Years Old Improve Hand-eye Coordination Social Interaction. Supermarket set. Babies & Kids. Fake money. counter stand. battery operated (not included). plastic fruits. Gadgets & Toys. Fashion & Accessories. The condition is very good used condition. Portability: The kitchen splits in half at the shelf and the counter top so it can stowed on cars. I brought this kitchen back from IKEA on Honda Jazz. Jazz is relatively a small car. Set Included:Radish,Lemon,Eggplant, C ucumber,Tomato,Wooden knife,Wooden chopping board,Peeler &Wooden Box. Vegetables range from 6 - 13 cm. Wooden cutting play food set with knife and chopping board is a great addition to any play kitchen. 24Pcs Pretend Role Play Kitchen Fruit Vegetable Food Toy. Shinehalo happy kitchen cutting playset includes 20pcs pretend food and kitchen ware for children up to 3 years old. Shinehalo20 Pieces Pretend Food Kitchen Ware Toys With Basket Safe Endurable Colorful Vivid Kitchen Cutting Playset For Children 3 Years Old Improve Hand-eye Coordination Social Interaction. Provide hours of role plays! Encourage their imagination as they learn to do DIY jobs. Make friends and have fun. Material: Plastic. Fit for: Above 3 years old. We will reply you ASAP. Color: Colorful. 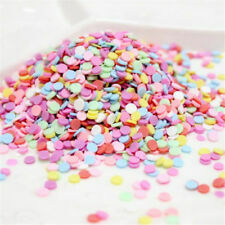 1 Set x Kitchen Ware Pretend Play Toy (60Pcs). 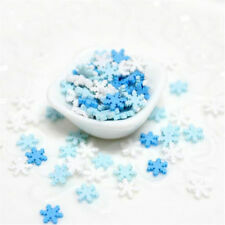 Features: Non-Toxic, Kitchen Ware Toy, Educational Toy. Type: Kitchen Toy. Notes: Due to the light and screen setting difference, the item's color may be slightly different from the pictures. Plastic simulation material, won't harm kids' hands. Fits for kids aged more than 3-year old. Age Group: above 3 years old. Our goal is to make sure that you can find exactly what you are looking for and make it easy for you to place your orders. ThisPretend Play Multi-functional Supermarket is sure to provide hours of educational play. Shelves noted with prices and bills and coins your little one can learn numbers, value and budgeting. Thiseducational toy is perfect for helping kids learn while having fun. The gloves are heat resistant. This amazing 12 piece stainless steel pretend to play kitchen set contains everything your child needs! The best children's toys are toys that provide both fun and educational experiences. 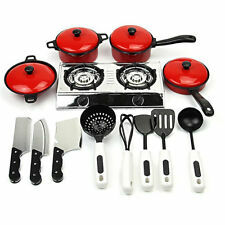 Promote imagination and interactive play with this toy Cooking Play Set. This cooking play set is brightly coloured and will spark the imagination in any child and great for role playing with so many fun things to do and play with. Great kitchen toys / tea set for kids. Condition is Used. All pieces shown in the photo are included. Hours of entertainment!! Theres one piece missing from the “opening” handle - see photo. It doesn’t interfere at all with the toy though... For pick up in Brighton, Vic. Encourage their imagination as they learn to do DIY jobs. Material: Plastic. Fit for: Above 3 years old. Provide hours of role plays! Color: Colorful. Make friends and have fun. Description: Applicable age: 3 years old or above Use high-quality stainless steel to make the taste of the house play toys. Cute small child size.The size of the pot is easy to handle for children. The sharp part is a non-slip surface, pot and other appliances, and the handle is smoothed with rivets. Pearl-like smooth, child safety, our carefully crafted play house toys. Children's own real cooking utensils and stainless steel.The real atmosphere and the pictures of the dishes are also very rich. The play house toy is a kitchen mom's experience of cooking and cooking to enjoy the children's own unique cooking utensils. Suitable for birthday gifts. (Material: Wooden. 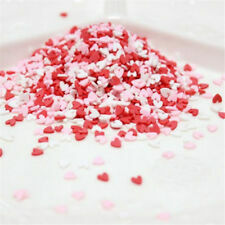 2)Great as an addition to dollhouse or to play on its own. We will try our best to reduce the risk of the custom duties. Detail Image. Color: Pink. Cooking accessories in the photos are included. Wood kitchen set features contemporary design. Kitchen overall size: 45 22.5 77 cm (Width Depth Height). Non-toxic finishes and child safe materials. Convenient hooks and shelves for storage and enhanced play. There is a range of pretend play kitchens available for children that come in different sizes, materials and offer a number of different features. These tiny kitchens are fantastic additions for the developmental journey of a child. It provides opportunities for many types of lessons and peaks their imaginations, which is crucial for any child growing up. What are the benefits of a child using a play kitchen? Social and emotional development: When kids play make believe, they are able to be anyone they want to be. When they are able to use something like a play kitchen, they get an idea of what it would be like to be a chef or perhaps just to feel what it is like to cook or bake something. This gives the child confidence and gives them strength and the curiosity to explore new things. Communication: Whenever a child engages in play, whether it be with their toy kitchen, their parents, dog or friends, they will engage in conversation. They will usually mimic adults in that sense. Plus, it may encourage reading and writing, as they compile shopping lists or create recipes for use in their play kitchen. Mental development: Even if it is just play, when a child is interacting with a toy kitchen, there are mental challenges they are bound to encounter. Perhaps they lost a tea cup and they need to improvise or perhaps something they were cooking burnt and they need to figure out what to do. This promotes creative thinking and stimulates their logical reasoning. Wooden or plastic play kitchen? Since there are a number of types of pretend kitchens on the market, you may find yourself wondering whether a wooden play kitchen or a plastic play kitchen is better to buy for your child. In terms of cost, a plastic kitchen is usually a little less expensive than a wooden one, but perhaps not as high quality. Depending on the type of children's kitchen you buy, assembling plastic kitchens are relatively easy, but may result in a structure that is a little flimsy. Unless it is recyclable plastic, wooden play kitchens are usually more eco-friendly and sturdy. All in all, there are positive and negative aspects with both types of kids' kitchen sets.